TOP 25 Article: "Cantor-like fractal photonic crystal waveguides"
Optics Communication, Vol. 252, pp. 46-51, 2005. 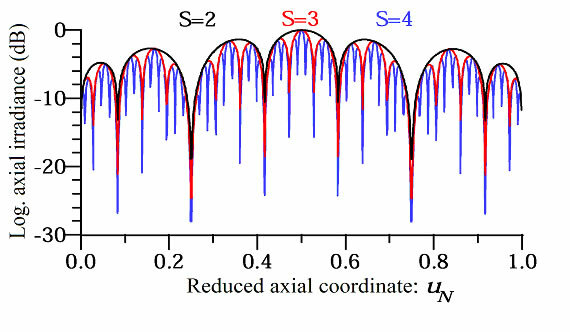 TOP 25 Article: "Fractal Axicons"
Optics Communication, Vol. 263, pp. 1-5, 2006. NEWS OPTICS.ORG: "Fractals improve imaging performance"
Optics & Laser Europe, Vol. 147, p.12, 2007. TOP 25 Article: "Zero permeability and zero permittivity band gaps in 1D metamaterial photonic crystals"
Physics Letters A, Vol. 364, pp. 352-355, 2007. 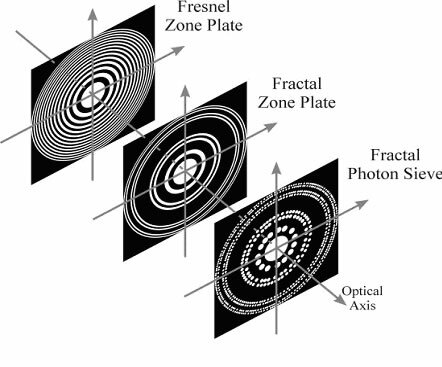 OPTICS IN 2003: "Fractal zone plates produce axial irradiance with fractal profile"
Optics & Photonics News, Vol. 14, p. 31, 2003.